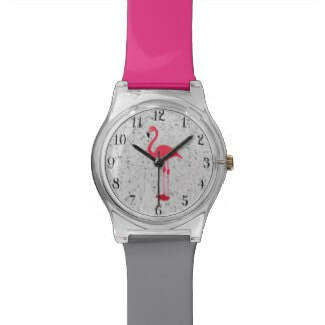 Feminine, flirty, and fun. 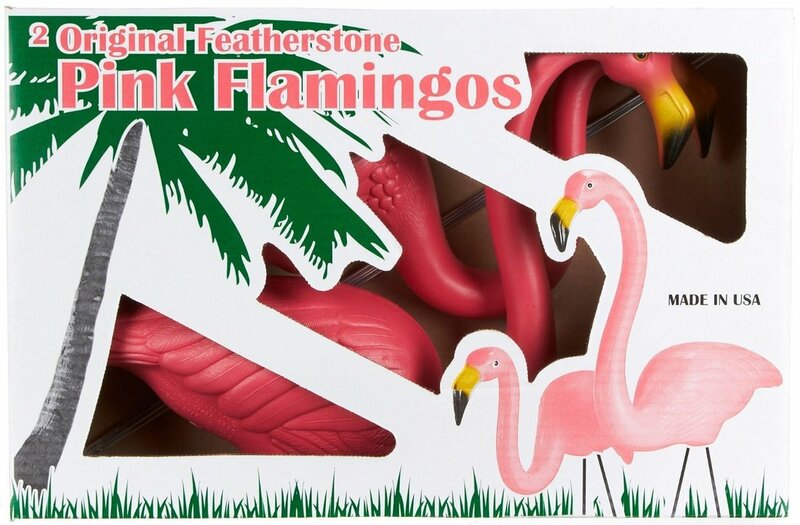 Pink Flamingos have been making us smile since sometime around 1957 when Donald Featherstone used their long lanky shape to create big plastic lawn ornaments for the Union Products plastics company. 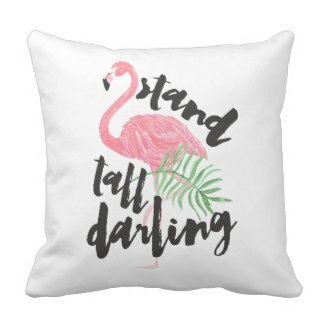 Since then, Pink Flamingos have been appearing on everything from clothing and accessories, to office supplies and even home decor and for a retro lover anything with one (or more) of these pretty birds on it makes for a pretty darn cute gift. 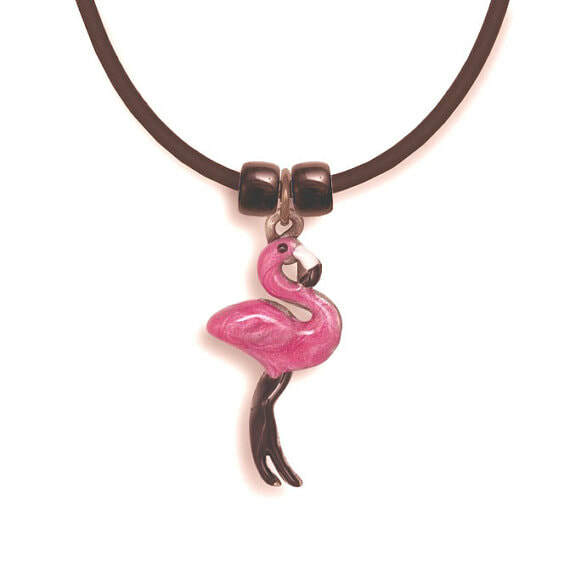 Browse through our retro gift guide filled with the best gift ideas for Pink Flamingo lovers to find something special for the one you love. 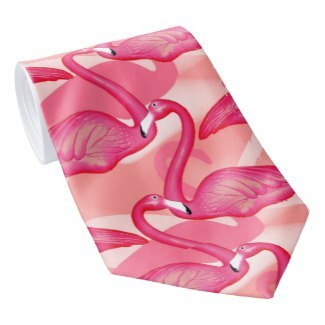 Disclosure: Retro Invites is affiliated with Amazon, Zazzle, Etsy and several other reputable sites. We recommend our favorite retro gift items through affiliate links. If you click on one of our links and buy something, we may receive a small royalty from your purchase. This will never cost you anything extra and all opinions are our own. We try hard to find the very best gifts for you and the ones you love. Thank you for supporting us! 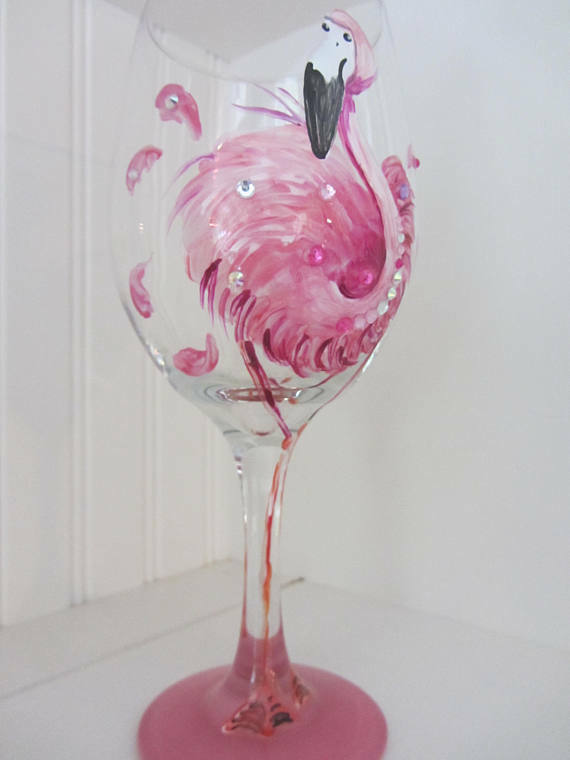 The ultimate gift idea for a flamingo lover would be a set of the original Featherstone flamingos that are still made in the USA by Union Products or a flock of plastic flamingos that will cover their entire yard but chances are that if they are a true fan of these pretty pink birds, they already have at least one frolicking somewhere on their landscape. Keeping that in mind, we'll be sharing our favorite gift ideas that feature images of these whimsically wonderful stand-up guys. 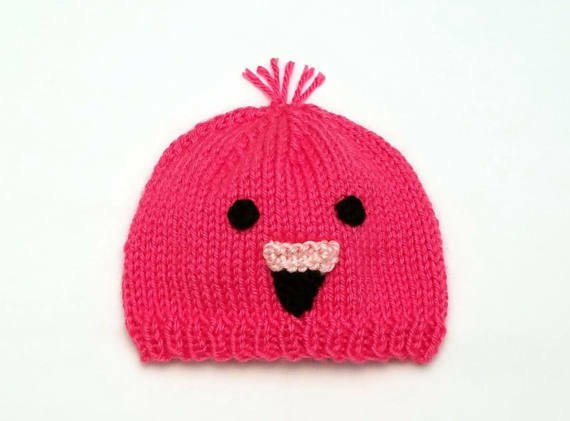 If you're looking for something super unique and ultra special be sure to visit Etsy where artisans (and fellow flamingo lovers) sell their handmade and vintage creations. 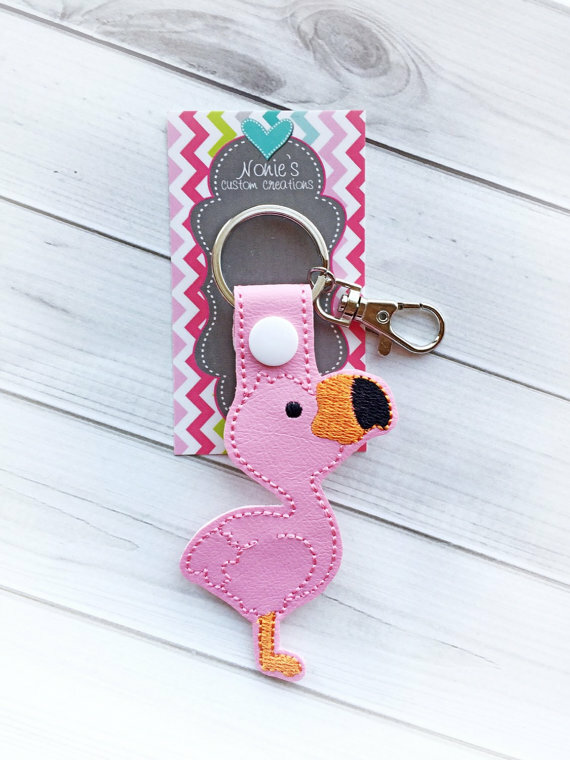 We've featured a few of our favorites above but you can visit Flamingo Gifts at Etsy to see everything available right now. Who says a pillow isn't gift worthy? 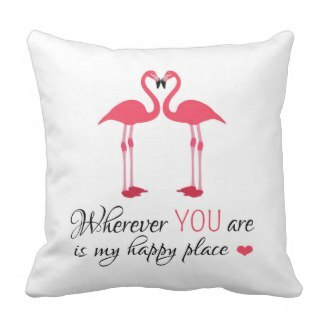 Flamingo lovers and especially flamingo lovers who are IN LOVE would surely love receiving a soft cuddly pillow with an image of their favorite bird on it. We've showcased just a few of our favorites but there are tons and tons more of these cute retro-style designs waiting for you at Zazzle. 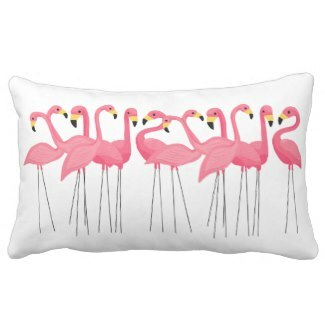 Visit Pink Flamingo Pillows to see them all! 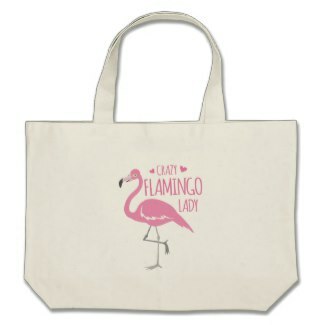 Zazzle has all kinds of other great gifts for flamingo lovers too including the fun tote bag, tie, watch, and luggage pictured above. 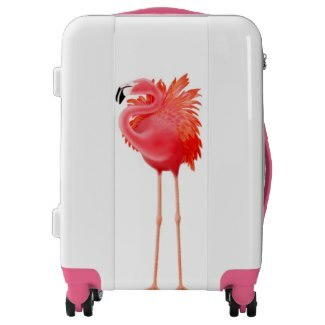 Visit Pink Flamingos at Zazzle to see EVERYTHING!